Our best selling model, and a classic ancient Egyptian design. Perfect for those that dislike having a flip flop between their toes. 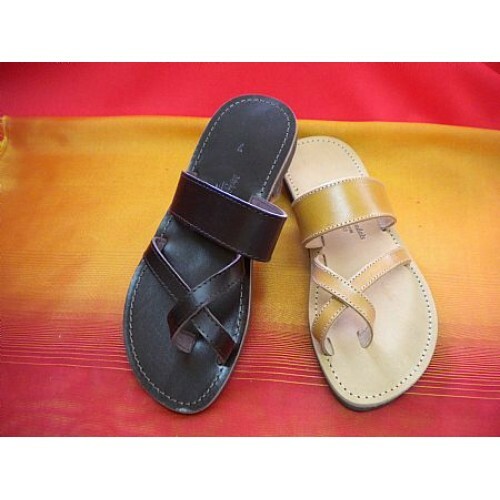 Excellent for walking and driving, our Egyptian model is arguably the most practical sandal ever made. Available in Natural, Brown and Black. They are handmade by us in Greece with authentic traditional natural Vachetta leather, used in Greek sandal making since ancient times. The natural ones darken naturally with age and wear becoming a gorgeous dark honey colour.